"Act first, ask questions later." Note-- a complete photo gallery will be made available as soon as possible. The original toy we own is missing a weapon & badly UV faded. A word of advise to collectors! Keep toys out of the sun for long periods (like displays) and do not use UV emitting fluorescent lights in display shelves! Profile: Siren comes from the Sonic Canyons of southern Cybertron, a region where the deafening sound of underground machinery wells up from below and loudly echoes among the canyon walls, causing a constant deluge of scrap metal to come tumbling down. Given this deafening, dangerous environment he learned to be both loud of mouth and nimble of feet. 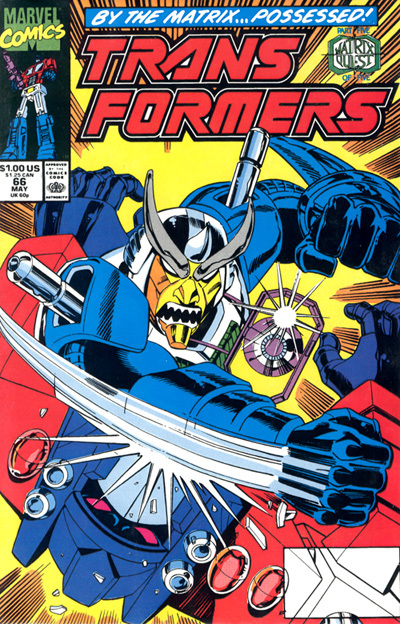 He has the reputation of being overbearing, but much of that comes from his tendency to scream rather than talk, particularly to his Autobot subordinates who help him in emergency situations. He likes to think that he's at his best in these situations: a no-nonsense, take-charge Transformer whose decisiveness under pressure has saved the lives of many Autobots' and humans. Actually, he often makes a problem worse by refusing to put aside his own narrow point of view and confronting the problem from a fresh prospective. He's very stubborn. He's also forthright and opinionated, and dominates any conversation if for no other reason than he's louder than everyone else. Quig was Librarian Master of Nebulos before he became a Headmaster. 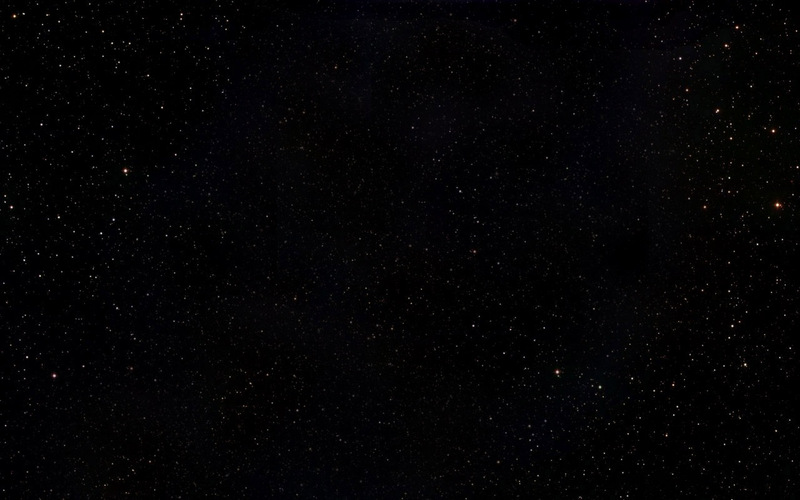 He oversaw the Optical Storage Archives, a repository of knowledge that is famou6 across half the galaxy. Realizing that the act of quiet study would become a thing of the past if the Decepticons were allowed to ravage his world, he volunteered to help the Autobots in their efforts to stop their age-old enemies. Unfortunately for him, after he was' bio-engineered to have the ability to convert to a robotic head, he was paired with the bellowing Siren, whose every utterance makes the soft-spoken Nebulan jump. Acting as Siren's head module, Quig is influenced by Siren's latent thought patterns to talk much more loudly than he is comfortable with. Abilities: Siren wields a sawed off C02 shotgun, which shoots high-powered bursts of ,freezing carbon dioxide gas that can turn an opponent into a frosted statue on impact: He also is armed with two sonic scream pistols, which can shatter steel with their high-decibel output. These are mounted on his hood in car mode, in which he can achieve speeds of up to 480' miles per hour and has' a range of 1000 miles. Weaknesses: Siren has no notable weaknesses. Quig, however, must take frequent rests from acting as Siren's head module in order to give his sensitive ears a rest. Not surprisingly, he suffers from frequent headaches. 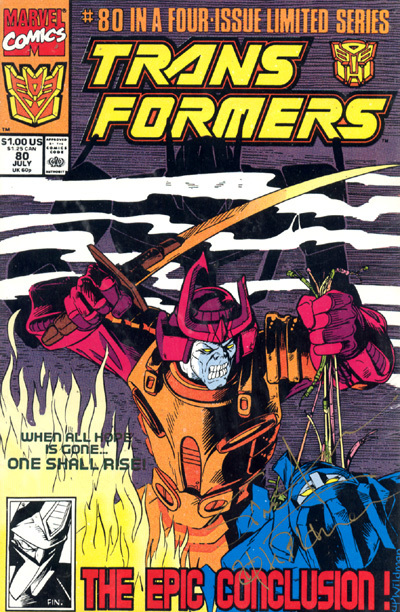 * (Marvel) Transformers #63 - Prisoners of Thunderwing. 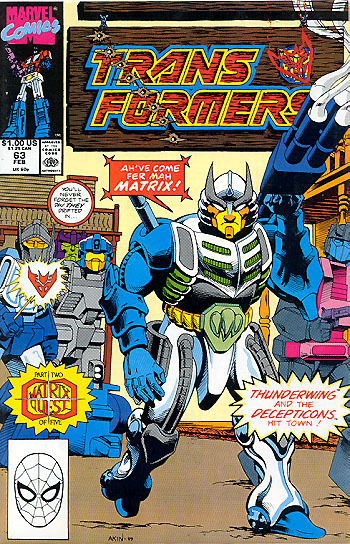 * (Marvel) Transformers 78 - Autobot Headmasters play a significant role in latter issue of the Matrix Quest. 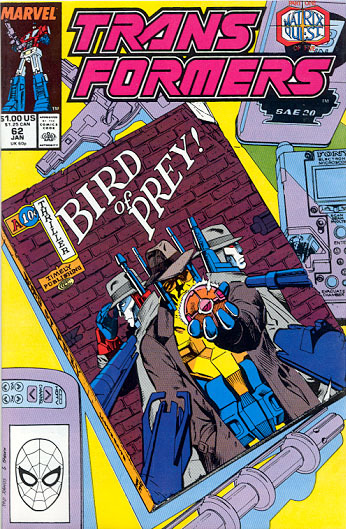 To date, there has been only one character with the name in Transformers mythology. - 1988 - Autobot Headmaster Siren. - 1988 - Autobot Headmaster Nebulan Quig, binary bonded to Siren.